At DRI DUCK, they spend countless hours perfecting the science of work wear and something great has happened along the way. They have discovered that their clothing is not only durable and suitable for the worker, but outdoor enthusiasts and adventure seekers alike are drawn to their products. They go to extremes to design FUNCTIONAL, DURABLE and COMFORTABLE outdoor apparel that is guaranteed to elevate your life's adventures. DRI DUCK has quickly become known as a brand that represents extraordinary styling, innovative fabrics and the ultimate in craftsmanship. 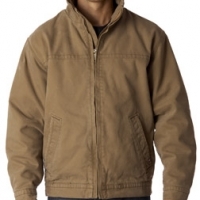 They offer a full range of jackets and caps to meet virtually every demand that you encounter from work wear to performance apparel to casual fleece. As part of their ongoing commitment to improving all aspects of the outdoor experience, they are proud to announce DRI DUCK's Shades of Green initiative which is designed to promote sustainability. DRI DUCK Team Members have formed committees to ensure collaboration on key environmental issues that impact our work and daily lives. The results have been measurable and fulfilling. 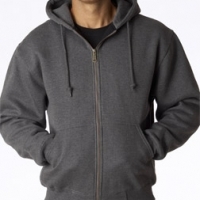 For example, they have become a leading supplier of Certified Organic Cotton jackets in the marketplace and they continue to research new eco-friendly fabrics and manufacturing processes. The support of doing the right thing to make the planet a better place for generations to come is always top of mind at DRI DUCK.